On Sunday, Cheverus High School's Peter Gwilym was awarded the 40th annual James J. Fitzpatrick Trophy as the top high school senior football player in the State of Maine. The Senior led his Cheverus Stags to a 46-8 State Championship Game win over the Bangor Rams in November, to help cap off a perfect 12-0 season. Gwilym was also named Maine's Gatorade High School Player of the Year in December. 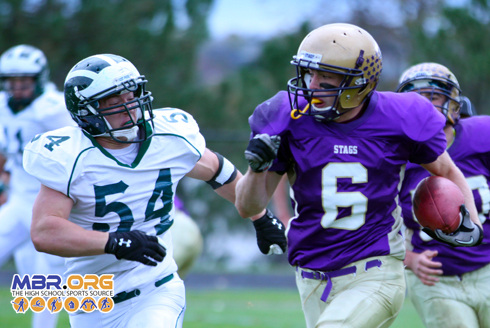 Gwilym was going up against QB Cam Kaubris of Mountain Valley and QB Jamie Ross of Deering for the Fitzy.